Here’s a fun way to learn the Bible—mix scriptural stories with the classic game of tic-tac-toe. Answer questions to place an X or O on the grid! 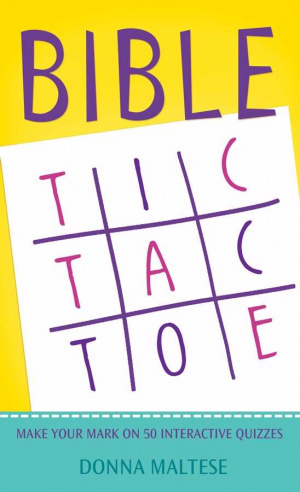 Bible Tic Tac Toe by DONNA K MALTESE was published by Barbour in October 2011 and is our 24079th best seller. The ISBN for Bible Tic Tac Toe is 9781602608962. Be the first to review Bible Tic Tac Toe! Got a question? No problem! Just click here to ask us about Bible Tic Tac Toe.